Three other US citizens are currently held in North Korea, including Kim Sang-duck, who had taught at PUST. A State Department official said Washington was “aware of reports that a US citizen was detained in North Korea”, adding it would liaise with the Swedish Embassy in Pyongyang, which helps look after US interests in North Korea. 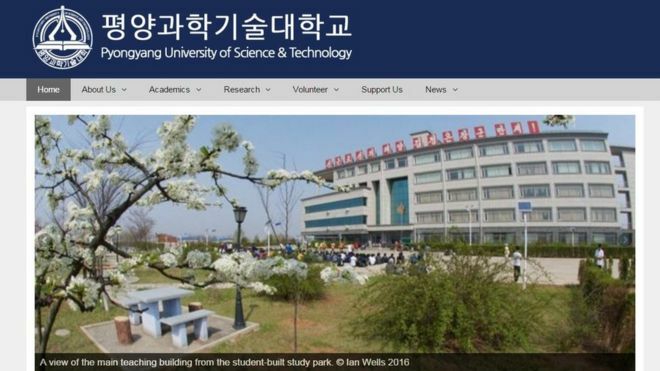 PUST is a university that mostly teaches the children of North Korea’s elite. It was founded in 2010 by a Korean-American Christian entrepreneur, with much of the costs funded by US and South Korea Christian charities. Several foreign lecturers are thought to teach at the university. Kim Hak-song’s arrest makes him the fourth US citizen to be held by Pyongyang. Kim Dong-chul, 62, who was sentenced to 10 years’ hard labour for spying last year.